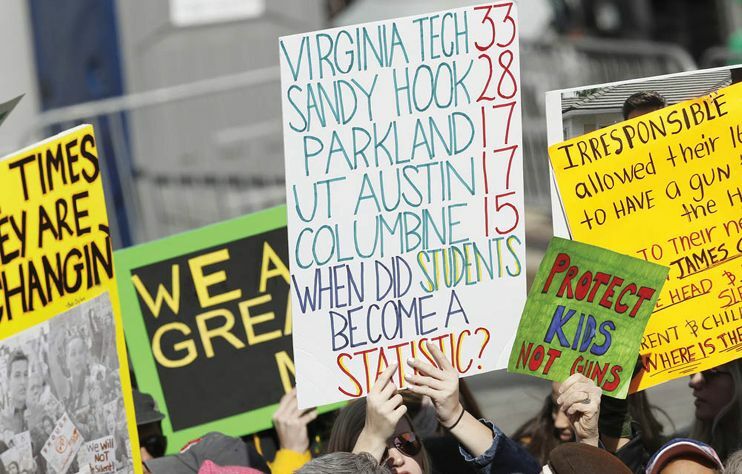 March for Our Lives: A tipping point? No one can deny the Parkland students “their grief,” said Rich Lowry in NationalReview.com. But while putting on outrage-filled marches feels cathartic, “passion is not wisdom.” Egged on by liberal adults, these students demonize every gun owner and politician who disagrees with them as not merely wrong, but as “the equivalent of murderers.” The NRA and its supporters, said rally organizer David Hogg, “want to keep killing our children.” Missing from their fear-driven diatribes was one basic, “indisputable fact,” said Robby Soave in Reason.com: “Gun violence has declined precipitously over the past 25 years,” despite the fact that the number of guns in circulation has doubled. Schools are no exception, with four times as many children shot dead in schools in the early 1990s than today, according to one study.